A Mexican journalist was murdered in the southern state of Chiapas on Friday, authorities and his employer said, the latest attack against the press in one of the world’s most dangerous countries for media workers. As he was leaving his home in the city of Yajalon on Friday afternoon, Mario Gomez was confronted by two suspects and shot in the abdomen, according to El Heraldo de Chiapas, the local newspaper that employed him. Gomez was taken to a hospital, where he died of his injuries. The suspects fled the scene. The state prosecutor’s office said that its homicide department would investigate the crime. “The prosecutor’s office of Chiapas, conscious of the importance of a free press, reiterates its commitment to exhaust all lines of investigation possible to solve this reprehensible crime and bring those responsible to justice,” the office said in a statement. Mexico has seen unprecedented levels of violence as rival drug gangs splintered into smaller groups after more than a decade of a military-led campaign to battle the cartels. 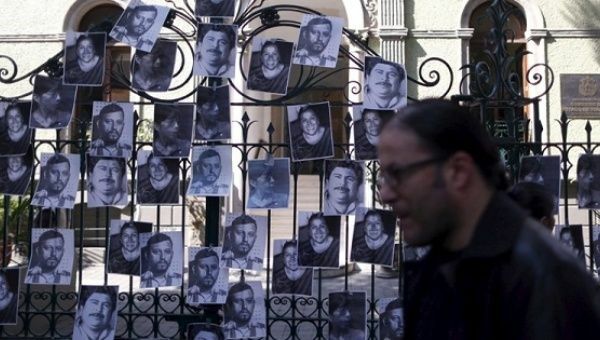 Journalists, in particular, have become a target for violence in Mexico, which the Committee to Protect Journalists classifies as the most dangerous country in the Western Hemisphere for media workers. Eleven journalists were killed in Mexico in 2017, and 2016 saw the same number of killings, according to Article 19, a free-speech advocacy group. In the vast majority of attacks, no one has been punished, the group says.